Book of the Week Book of the Week: A Pick by Laura M. André Laura M. André selects Eternal Friendship by Anouck Durand as Book of the Week. Eternal Friendship. By Anouck Durand. Siglio, 2017. 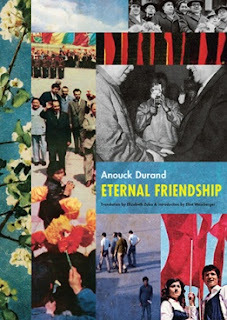 Laura M. André picks Anouck Durand's Eternal Friendship, from Siglio, as Book of the Week. 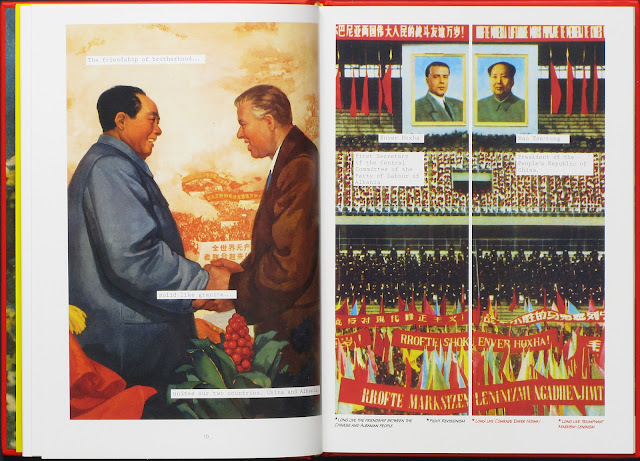 A timely book about dictatorships, propaganda and friendship. Imagine Art Spiegelman meets Chris Marker, told in gorgeous 'tricolor' photography. When I read this review quote about Anouck Durand's photo-novel, Eternal Friendship, I knew I'd be sold on the book even before I glimpsed between its covers. And I wasn't disappointed when I did. 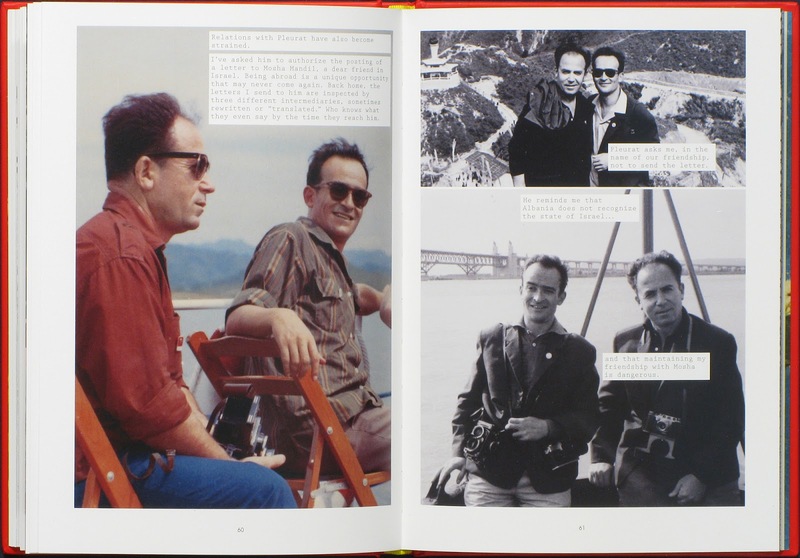 The book is based on an extraordinary, true story about two men—both photographers—who met during the Nazi invasion of Albania in 1939. Refik Veseli, a left-wing Muslim, took Jewish photographer Mosha Mandil and his family into the Veseli home, where Mandil's wife and two children blended into Veseli's family and remained hidden until Albania was liberated by the Soviets in 1944. After the war, Mandil and his family moved to Israel, while Veseli stayed in Albania, hoping to contribute to the building of a new and prosperous nation. Instead, Albania became an isolated, Communist dictatorship. It is several decades after that, in 1970, that French artist Anouck Durand picks up the story, which I won't spoil for you here, in China. 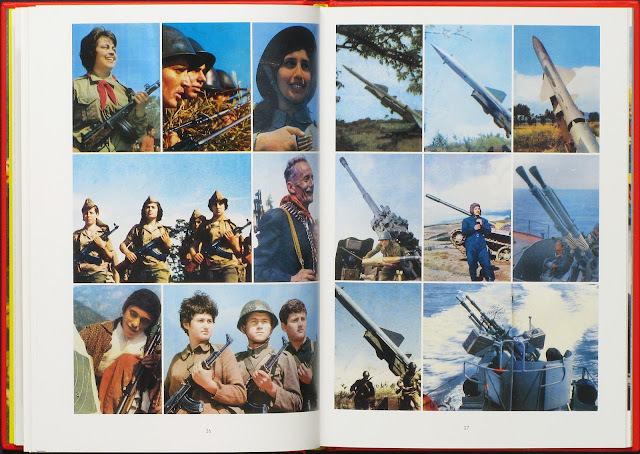 And she tells it masterfully, combining archival, state-sponsored imagery with hand-written captions and passages that reconstruct Veseli's efforts to reconnect with his dear friend despite their distance and the powerful regimes that stand in the way.